The snow is back and more is due to come in through the next few days. It’s been snowing on and off the last couple days, which has been a lovely layer on the pistes. Everything should be in good condition for half term. And if you’re looking for a bit more to do at half term, find out what’s on for the kids in your resort as well. So…another week of amazing weather and even more snow due! 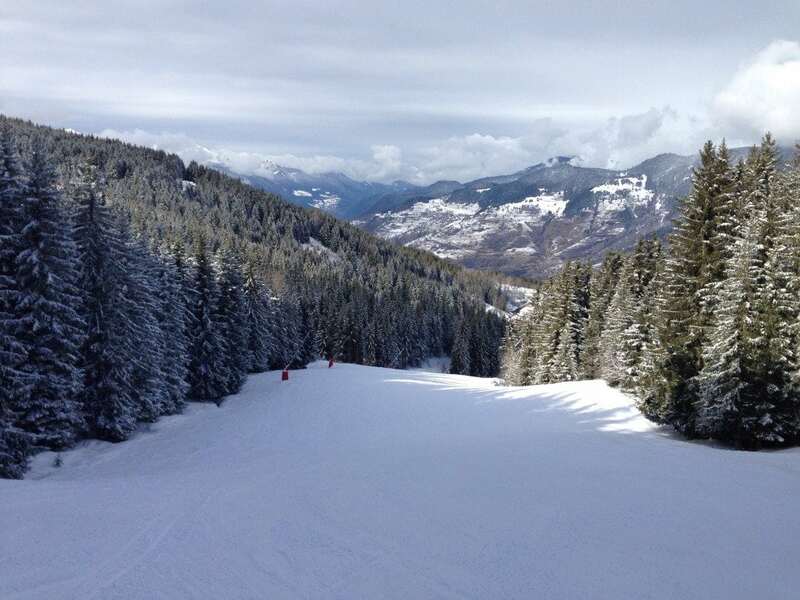 It’s crazy, the pistes are in fantastic condition and off the piste is spot on. We are due another metre of snow in the next week and there doesn’t seem to be any sign of stopping. It’s just so good! We are about to go into half term and can’t think of a better week for it with the conditions we have already and the amount on top of that predicted as well. So make sure you get out everybody and enjoy the party out here! Half Term – What’s on? Thursday 18th: International Festival of Pyrotechnic Art – see some fantastic fireworks as various countries compete for next year’s New Year’s Eve fireworks display in Courchevel. Lots of snow forecast right into next week with sunny spells dotted around. Strong winds forecast over the the weekend and easing off on Monday. Plenty of powder to be had! Heavy snow fall last night and this morning making a nice powdery top layer. Snow is forecasted every day for the rest of the week just in time for half term. 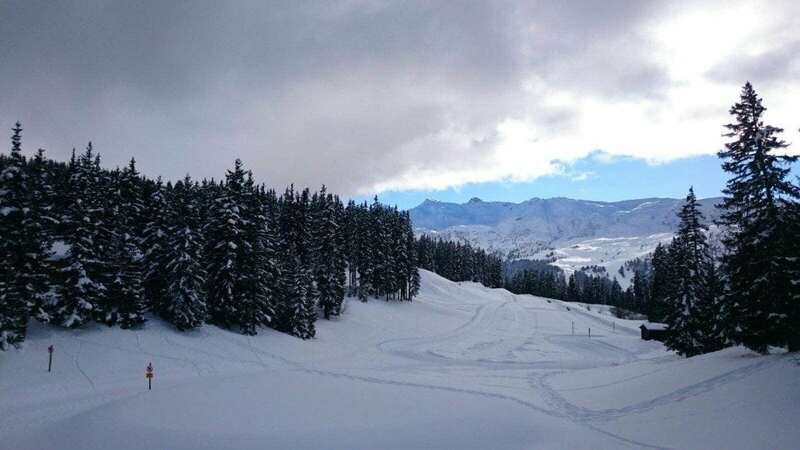 Heaviest snowfall is predicted on Friday night with it continuing all through Saturday to ensure there will be plenty of snow in Meribel. 39cm is predicted to fall over the next 7 days. Tuesday 16th Feb– Ice hockey league cup final at Parc Olympique. Live music (Hobo Chic) at Evo’s. 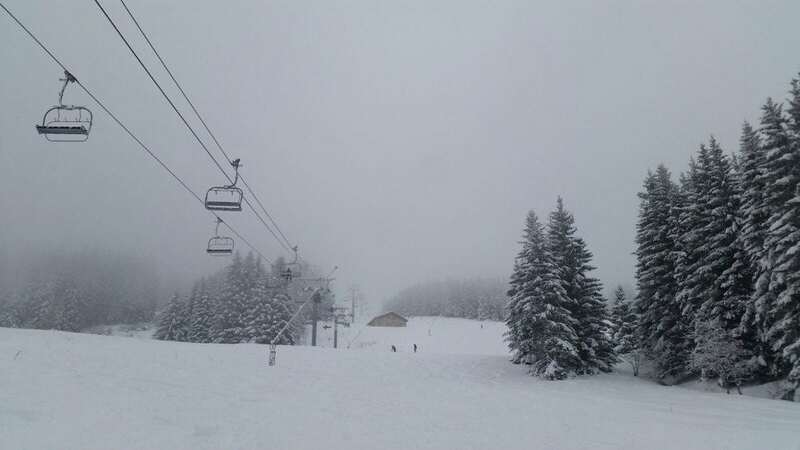 Well the temperature has dropped here in Morzine and it has been SNOWING!! We have had some epic powder runs, and with more snow forecast, we can’t wait for some more! The best conditions can be found on the upper slopes in Morzine and Les Gets, so we would recommend checking out the Chamossiere Express (2002m) or the Ranfoilly Express (1826m). 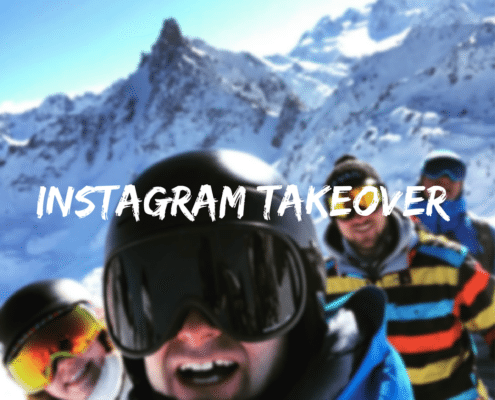 The slopes are can get pretty busy at times, so if you are looking to avoid the crowds, head over to Mont Chery or Nyon. 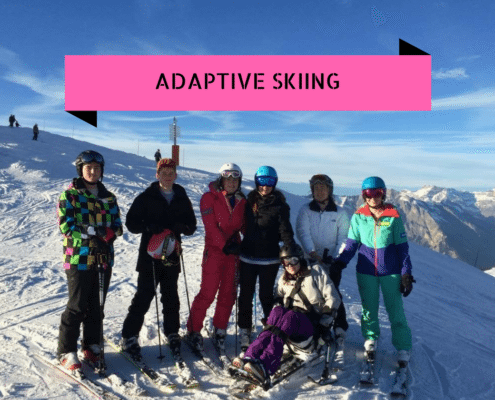 You’ll find much shorter queue times and some great skiing also! 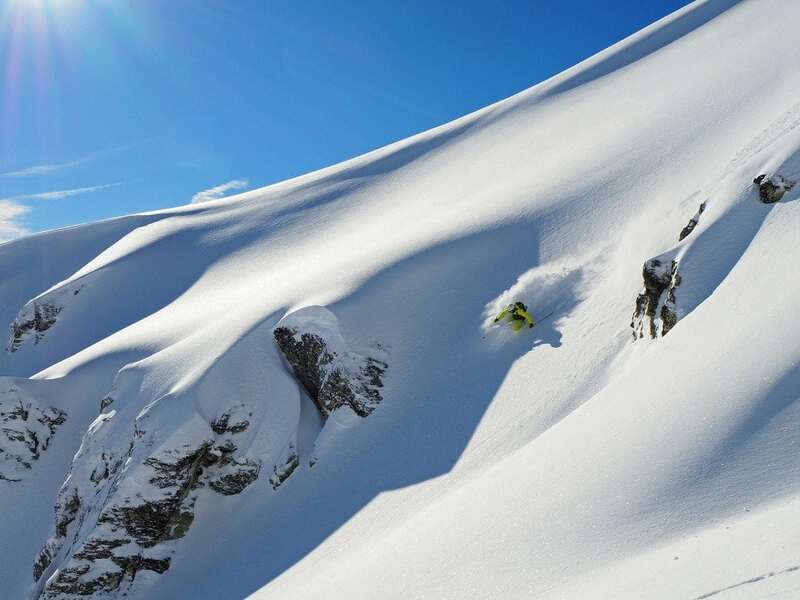 You are bound to find some beautiful untouched reds over in Mont Chery! Snowfall due in the next few days: 53cm! Fabulous skiing in Serre Chevalier on and off piste. 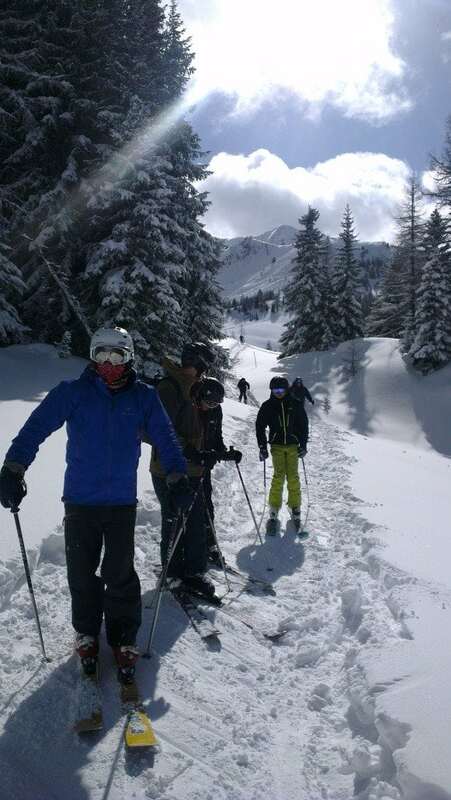 This photo was taken at 15:00 Wednesday and Gavin and his team were still getting first tracks in their off piste adventure session! 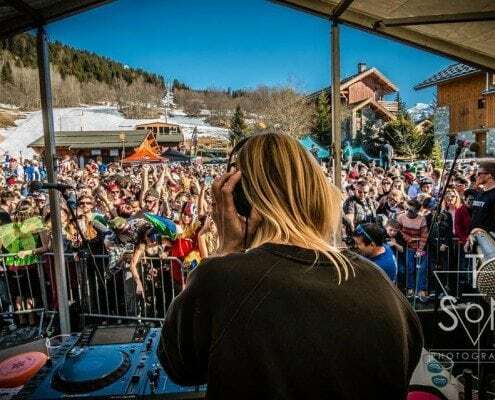 There are torchlit descents in all villages this week as well as ski tests, music and free drinks from the fronts de neige in each sector. 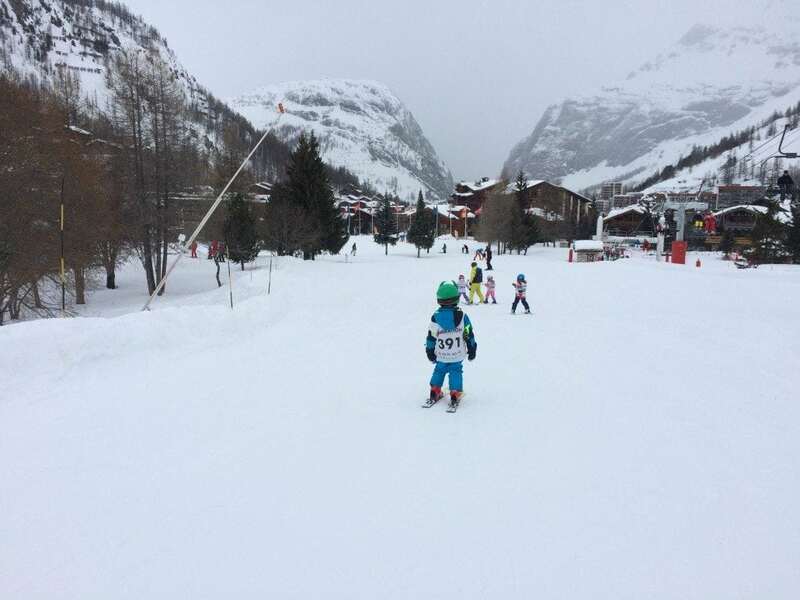 Have a great half term if you’re in Serre Chevalier! The snow is back and coming down hard. There is a fresh canvas most mornings to decorate with your fresh lines; La Face is exceptional first thing if you don’t mind the early morning queues. There have been a couple of high wind days, which make it rather chilly at the top and off piste rather dangerous, so make sure you go properly equipped and best with a New Gen guide. The major event that occurs in Val during the busy half term period is the FrostGun Invitational Freestyle Competition. Some of the worlds best and most legendary freestylers hit up the massive kicker at the bottom of La Face de Bellevarde to showcase their talents and compete for the title. It is an event that draws massive crowds and is guaranteed to leave you in wonder. Other events during the week include the Airstar Night Light evening on the 15th on the main street. This colourful night includes street performers, DJs and a percussion concert. On the 17th at 17:45 there is the Bollé air-board contest. These inflatable sledges apparently give the sensation of flying and after a couple of practise runs you can enter the free race to win a couple of Bollé prizes. Who doesn’t love a bit of healthy competition? If bombing down the slopes isn’t for you then at 18:00 there is Le Marionettik Circus. A delightful circus show that ignites the imagination for children and adult alike. Finally on the 19th more racing as there is the Dynastar Night Slalom competition. Make sure you sign up early to this knockout competition as there are limited places, possibly due to the fact that a pair of Dynastar skis to be won in each category. But a good way to try your hand at some competitive slalom and have some fun whilst doing it. 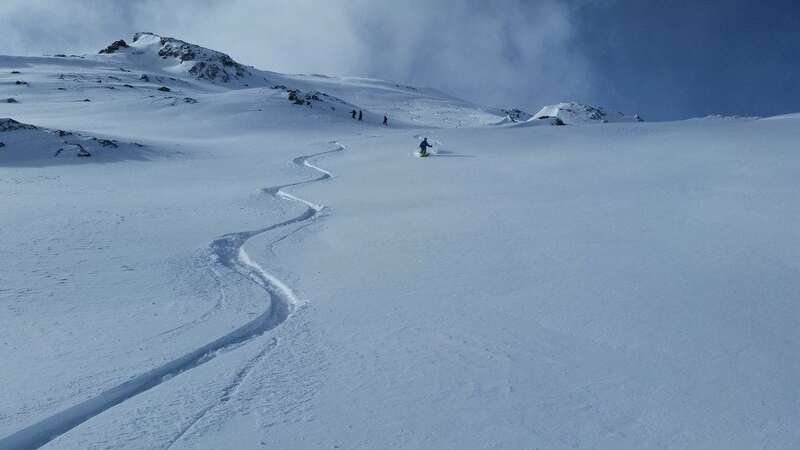 Several days of snowfall in Verbier have given us excellent pistes and great conditions on the itinerary runs (the official off-piste routes). Things are staying cold and snowy for the next few days, so conditions for skiing will be brilliant into next week! It’s the perfect time to be heading to the Alps for a holiday to enjoy this fresh snow! 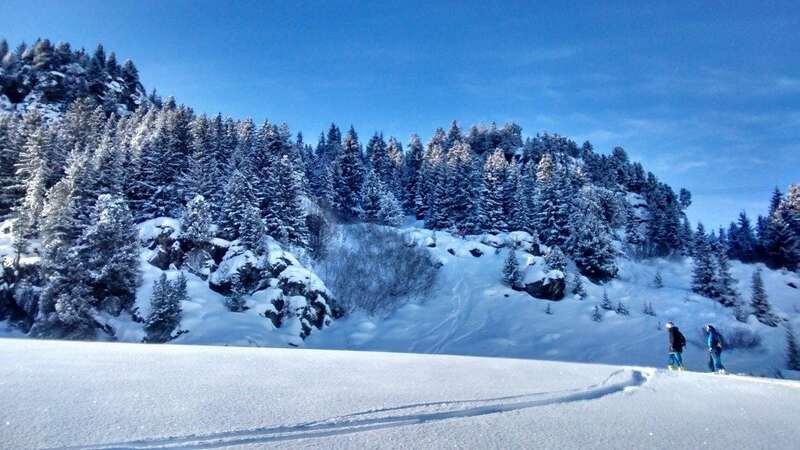 Interested in keeping updated on snow levels and forecast around the Alps? Subscribe to our blog (on the top right!) to stay up to date on snow in the Alps with a new snow report each Thursday evening.